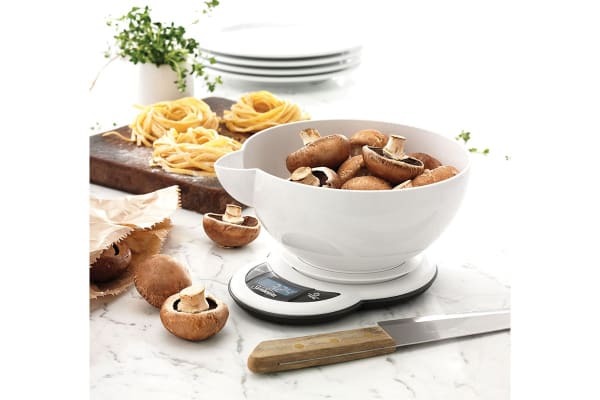 Weighing is a breeze with these EasyMeasure Food Scales that deliver fast and precise measurements up to three litres for all your weighing needs. The Sunbeam EasyMeasure Food Scales boast innovative Strain-Gauge technology that accurately weighs ingredients for the perfect measurement every time, regardless of where they’re positioned on the scale. 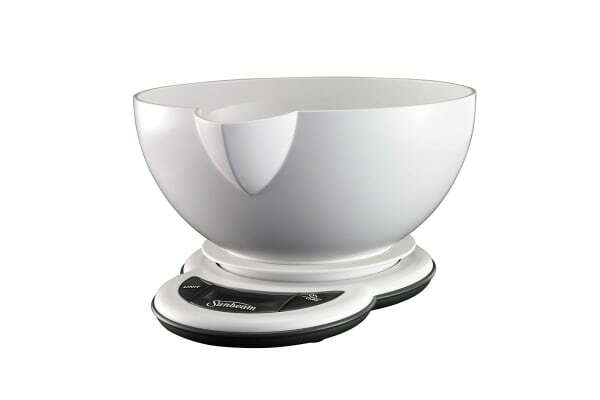 With an easy pour spout and capacity up to three litres, it’s ideal for weighing wet and dry ingredients no matter what you’re making. With a tare function that allows you to zero the weight of any type of container and weigh ingredients individually and consecutively, baking has never been quicker, easier or more enjoyable.